A Palestinian has driven a truck into a crowd of soldiers in Jerusalem, killing four people and injuring 17 others. Israeli Prime Minister, Benjamin Netanyahu said the attacker, who was shot dead by security forces, may have been a supporter of Islamic State terror group. 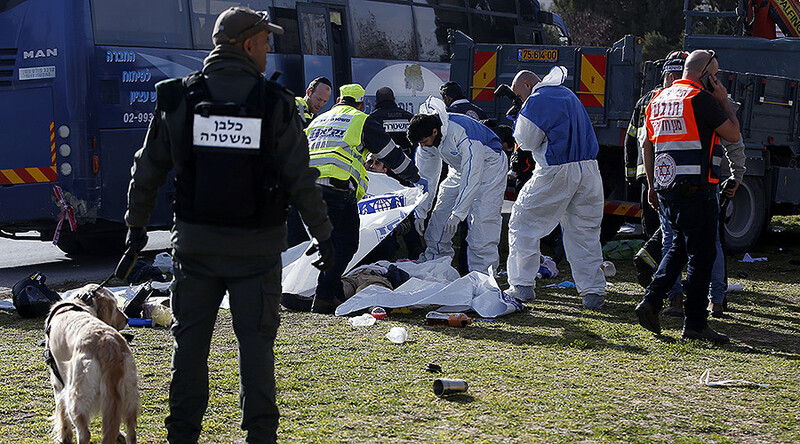 Four people in their 20’s were killed as the truck driver targeted a group of Israeli officer cadets, who just got off the bus at Armon Hanatziv promenade, famous for a panoramic view of the Old City. The military said that an officer and three officer cadets were among the dead, adding that 17 others were injured. According to the police, three of those killed were females. The driver was shot and killed in less than a minute after the attack, with soldiers as well as a civilian tour guide armed with a handgun opening fire at the perpetrator. Health officials has called on Jerusalem residents to donate blood to hospitals, which are reportedly experiencing shortages in the wake of the incident. 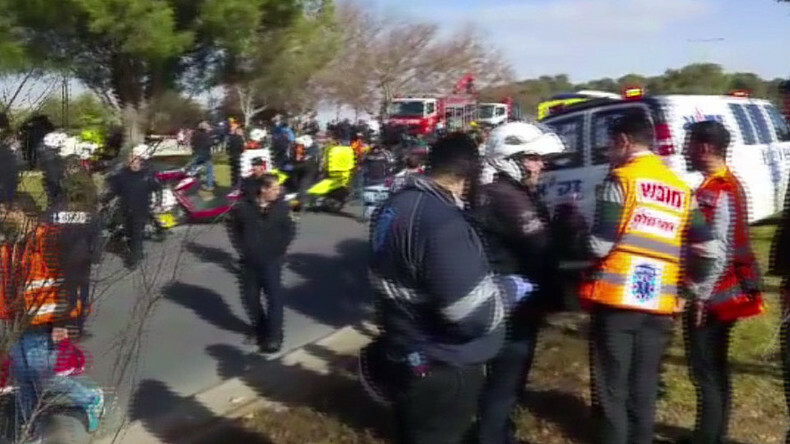 An eyewitness to the incident told Israel Radio that the truck ploughed into a group of soldiers. The vehicle than reversed its direction and ran over the troops again as they were firing at the driver. Police identified dead the truck driver as a Palestinian from Israeli-annexed East Jerusalem. His uncle, Abu Ali, named him as Fadi Ahmad Hamdan Qunbor, 28, a father of four from the Jabel Mukabar neighbourhood. Israeli Police Chief Roni Alsheich told reporters it was possible that the attack was inspired by the truck attack in Berlin in December, which killed 12 people. “It is certainly possible to be influenced by watching TV but it is difficult to get into the head of every individual to determine what prompted him, but there is no doubt that these things do have an effect,” Alsheich said. 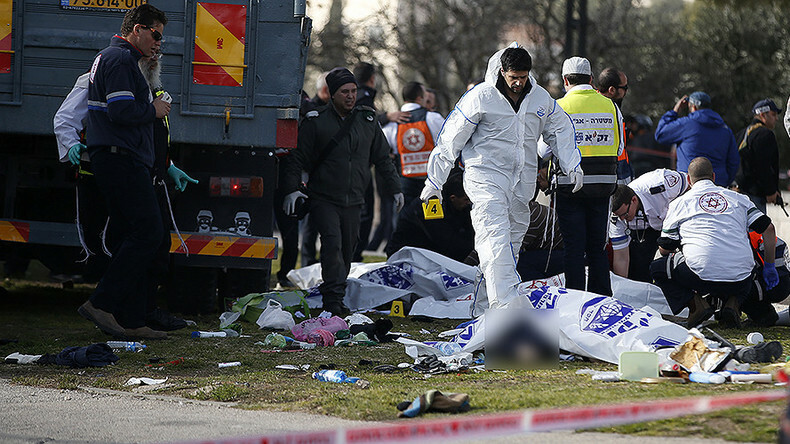 Netanyahu and Defense Minister Avigdor Lieberman visited the scene, in a gesture apparently stressing the high profile nature of the incident. The prime minister echoed the remarks of his police chief, saying there may be a connection between the truck attack in Jerusalem and those in Nice, France and Berlin, Germany. "We know the identity of the attacker, according to all the signs he is a supporter of Islamic State. We have sealed off Jabel Mukabar, the neighborhood from where he came, and we are carrying out other actions which I will not detail," Netanyahu said in a statement. The terrorist group Islamic State (IS, formerly ISIS/ISIL) claimed credit for the attacks in the European cities. In the meantime, the Israeli Security Cabinet agreed to demolish the terrorist's home as soon as possible. The Cabinet also decided to prevent the transfer of the terrorist's body to his family. The militant group Hamas called the incident an act of “heroic resistance to the Israeli occupation,” but would not claim responsibility for it. Random attacks by Palestinians against Jews have escalated over the past 15 months. Of the 231 Palestinians killed in Israel over that period, 157 were assailants in attacks using primitive weapons like knives. They have killed at least 37 Israelis and two visiting American citizens, according to Reuters. The Israeli government blames Palestinian leaders for inciting hatred against Jews. The Palestinian Authority blames Israel’s harsh policies against Palestinians, including construction of settlements in the occupied territories and persecution of the families of Palestinian attackers. 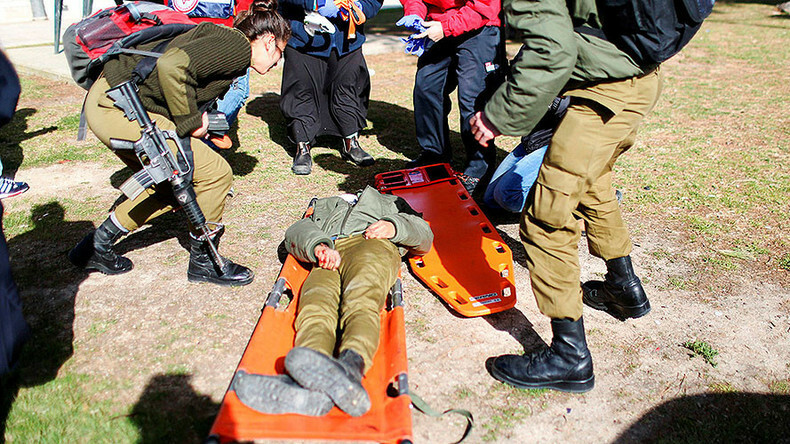 Israeli-Palestinian antagonism was highlighted this week after an IDF soldier was convicted of manslaughter for shooting dead an already injured Palestinian attacker last March. The ruling sparked criticism from many Israeli officials, while Netanyahu said Sgt. Elor Azaria should be pardoned.